The first thing most people notice about automobiles are their paint jobs. When a car has a lackluster, faded finish, it will look old and dated no matter how good of shape it is otherwise in. Cars with bright colors and high-gloss clear coats draw the eye, making the vehicles more appealing. Chrome further brightens up a vehicle, helping its bumper, rims, trim and other parts look new and giving the car a high-end look. Automotive paint did not always offer the same beautiful look that people have come to expect today. Instead, its history provides a fascinating insight into the technology behind the development of modern automotive painting processes. When vehicles were first invented, modern auto paints were simply not available. Instead, people handpainted their cars using brushes and paint that they could purchase at their local stores. Because the paint faded and flaked away very quickly, many people would repaint their cars every year. Around 1900, automakers used the same varnishes that were used for carriages. Applying paint could take as long as 40 days for each vehicle, and after it dried, it had to be sanded and polished. During the early 1900s, a man by the name of Dr. George Sargent conducted a study, discovering that electroplating chrome would require a ratio of one part of sulfuric acid to 100 parts of chromium. He presented his research in a paper in 1920. In the 1920s, Ford Motor Company started using paints made from nitrocellulose lacquers on automotive assembly lines. These paints had a substantially shorter drying time than the older varnishes. 1924 was a big year for both paint advancements and chrome plating. During that year, paint spray guns made their splash into the world of auto painting, making their appearance on assembly lines. At the same time, two men at Columbia University by the names of Colin Fink and Charles Eldridge discovered the chrome electroplating process. The men based their work on the paper that had earlier been published by Dr. Sargent. In the 1930s, automakers started using paints called stoving enamels. These paints provided glossier shines and much faster drying times. In the world of chrome, Dr. William Peacock developed a silvering spray in order to silver mirrors. At the time, mirrors were very expensive because they had to be individually made by master craftsmen. With the silvering spray in 1932, Dr. Peacock’s discovery allowed thousands of mirrors to be manufactured every day, greatly decreasing the price of mirrors and making them widely available. In 1955, General Motors started painting its cars with a new acrylic that required the cars to be baked after the acrylic was applied. This process gave the cars a consistent finish, but the finish wasn’t as glossy as that provided by stoving enamels. In 1960, Ford Motor Co. began using acrylic stoving enamels, which provided the tough finish with more shine. 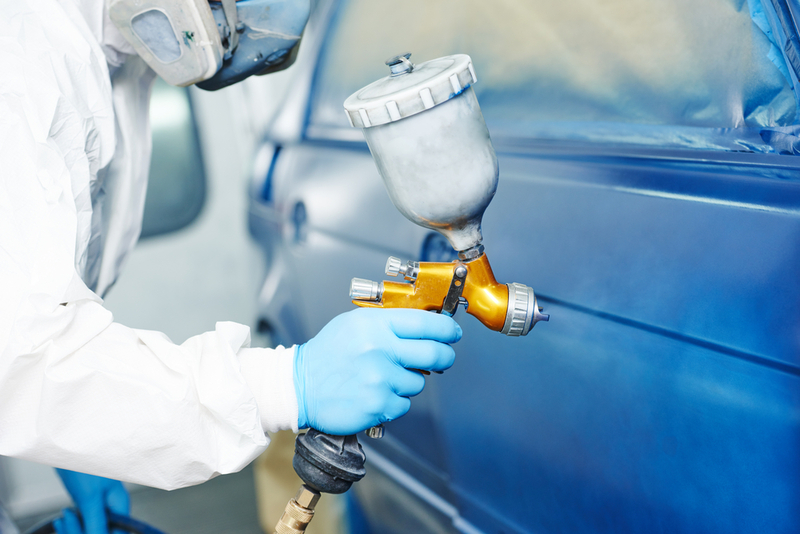 In the late 1980s, car manufacturers began using urethane and polyurethane paints on their vehicles. After the application, clear coats were then applied. This resulted in durable and highly glossy finishes. The technology of automotive painting continues to evolve. Some car makers now use a process called electrocoating, which involves submerging vehicles in a primer bath and using electric currents to bind the coating to the metal. Spray chrome has also advanced significantly. 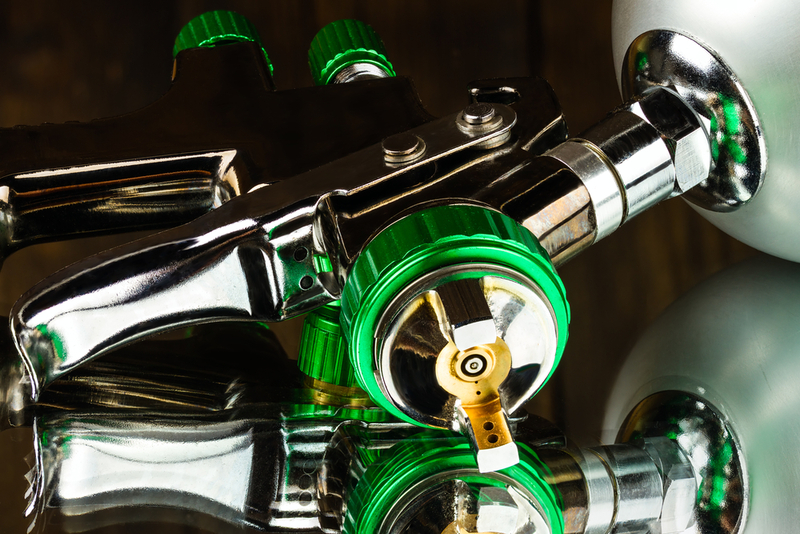 People are now able to use PChrome chrome spray to achieve the same feel and look that is provided by chrome plating but at a fraction of the expense. To learn more about PChrome chrome spray and its use for vehicle restoration or customization, call us today. Chrome further brightens up a vehicle, helping its bumper, rims, trim and other parts look new and giving the car a high-end look.